What should you do to make the most of technology business opportunities in 2017? For this "Marching Orders" series, we put that question to a number of channel luminaries, including top Microsoft channel executives, consultants, Microsoft partners and other regular RCP contributors. 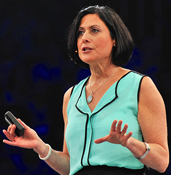 This entry comes from Gavriella Schuster, corporate vice president of Microsoft's Worldwide Partner Group. Cloud technology is no longer a nascent trend -- it's the new normal. Last spring, IDC research found that 80 percent of businesses are deploying or fully embracing the cloud, and that number will only continue to grow. The opportunity in 2017 and beyond for partners is huge. In fact, IDC also found that public cloud services spending is forecast to hit $195 billion by 2020, with greater cloud spending hitting $500 billion in that same timeframe. The numbers are exciting to see, but here's the amazing thing: Even that is just a start. Customers are fundamentally changing how they use technology to drive their business forward, bringing technology out of the back office and embedding it in every aspect of their business, moving IT spend from OpEx to COGS. Every business will become a digital business, and that's digital transformation. Customers are building their own visions of what technology can do for them, and they're looking for partners who can bring that vision to life. They're looking for partners who can deliver a full-service solution, not an individual product or project. For partners, the opportunity lies in leading, not following, that digital transformation. I see three areas where every partner can focus in 2017 to put themselves firmly in the driver's seat. When technology is everywhere, the possibilities for specialization are virtually endless and can be overwhelming. That's why it's so important to define the unique core of your business -- what you alone can offer to customers that no one else can. Maybe your unique core is a specialized app solving a specific business need. Maybe it is unique IP that enables multiple applications to work together. Maybe it's a connected solution that pulls from multiple online services. Maybe it's the managed service that you've tailored to a certain industry. Specializing isn't just about writing unique code. If you're not sure where to start, look at the industries you've worked in, the types of solutions you've perfected, or the business model you've built. There are opportunities in the work you're already doing to tease out your unique differentiators that build on the business you have without starting from square one. One great way you can build a unique offer is by partnering with your peers. As you look to modernize sales and marketing and evolve your modern partner capabilities, consider partnering to specialize, verticalize, for IP opportunities and for building out your managed services. The first step is to just start having the conversations. If you're an ISV or app builder, consider all the ways you can go to market without necessarily having a direct conversation with a potential customer. We're here to support you in thinking through your value prop, building your brand and creating a digital marketing strategy, all of which make you an attractive business partner for a solution aggregator, especially if you're plugged in to our Cloud Solution Provider (CSP) model. Moving existing on-premises apps to cloud or hybrid and working toward certification on our marketplaces are also great ways to get in front of customers and potential business partners. Leading digital transformation will be difficult if you're still operating in the past. Your own business may be ready for a shakeup to meet the demands of customers of the future. Are you and your employees ready to help customers capitalize on the next generation of business? Make a plan to keep your team's skills current. The pace of change is so fast, and skills that were core to the job even a few years ago just aren't relevant anymore. We're releasing new courses on our learning platforms, including Partner University and Microsoft Virtual Academy, all the time. Make sure you're equipped to handle any scenario a customer can imagine. Earlier this year, we sponsored a series with IDC all about the four pillars of modern, profitable partners. If you haven't already reviewed those e-books for ways you can start your own digital transformation, I encourage you to visit aka.ms/modernpartner to check them out.